Many people will often tell you that they don’t need prescription discounts because they have health insurance. And it is quite true. After all, that is why common people like you and me invest in health insurance. You just pay the premiums and the insurance for your medical expenses. But if you are even a little bit aware of the pharmacy discount cards or coupons, you would know that the health insurance cannot completely cover all your medical bills and that these coupons or cards can be your savior in that case. The prescription benefits under this have undergone a few changes. The cost of the insurance has increased, people paying for the insurance have to cut down on their costs and they try to impose that cost to you as a patient in multiple ways. So, being an alert consumer, you have to be careful of the different aspects of your insurance policy, which might actually increase your cost at your pharmacy counter. These minor glitches on the insurance can prove to be a major setback. In fact, that is the reasons why people are opting for the RX discount coupons or other kinds of pharmacy discount cards. Here, we have enlisted a few of the things to keep an eye on in the insurance policy. Take a look. You will notice that a majority of the insurance plans now will have deductibles whereby you will be liable to an increase of your own expenses up to a certain extent. In the US, these deductibles are surely increasing at a far greater speed which further indicates that the healthcare costs will actually be higher all year round. The formularies, i.e. the list of drugs that are covered by the insurers, are basically shrinking. The number of drugs being covered is reducing and more and more drugs have to be excluded. If your drug is not on this list, you will definitely have to start paying the entire price of the drug. A copay is a particular amount you must pay for a certain drug as have been mandated by your insurance, irrespective of the price of this drug. Whereas, co-insurance means you will be liable to a particular percentage for the full price of the drug. If the insurance plans are favoring towards the co-insurance, it could result in a significant increase in your medical expenses. 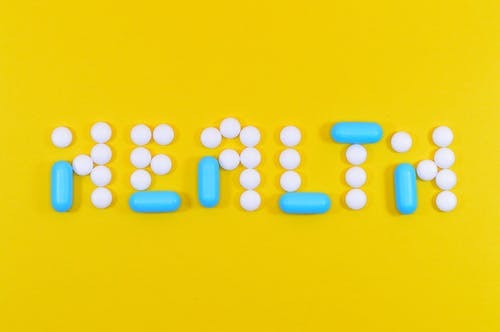 Generally, in order to keep the costs low and for the well-being of the insurer, the insurers usually limit the number of certain drugs that you can consume in a particular span of time, right from day to day, week to week or even month to month, varying from drug to drug. These drugs are generally the ones meant for temporary use and can have higher side-effects if overused. Being on a formulary will not mean that the prescription has been covered. It might be on this list but the insurers might demand that the patients seek permission for the drug before they fill the prescription. A doctor might need to send a prior approval and there is no actual guarantee that you will get the approval. So, without any further delay, try out the Rx pharmacy coupons or discount cards to understand why you need these along with comprehensive health insurance. Author Bio: Amy Adams, a regular blogger on the RX pharmacy coupons, here writes on 5 ways in which your health insurance can cost you more than using the RX discount coupons.